Could These Instructional Tools Revolutionized Liberia’s Education System? One of the most important technological inventions in contemporary times is the development of computers. Computers continue to play many roles in our lives, in transportation, record keeping, transportation, personal booking, business transactions, banking, etc., in these areas. The application of computers have been a blessing to mankind. Computers have become effective learning tools. The use of computers in schools have enabled students to locate and download information from the Internet utilized database to research information, and subsequently use a word processor to write a report, (Forcier & Descy, page 170). The availability of computers continues to help school administrators and their clerical staff to be productive and efficient in the performance of their respective functions. Computers are indeed instructional tools that help students in their learning process, and provide a wide spectrum of educational experiences. 1. Provides Flexibility: Interactive whiteboards allow many different forms of media – including photos, illustrations, maps, graphs, games, and video, to be displayed. These tools not only enrich the classroom experience but also help to expand the nature of content that can be used in learning. In addition, SMART Boards make learning more dynamic owing to the different forms of presenting information. 2. Enhanced teaching/learning experience: SMART Boards provide new ways for teachers to teach, and students to learn. These tools support a wide variety of learning styles. For instance, visual learners can watch as their tutors use the whiteboards to project visual elements, whereas audio learners can listen and have discussions. On the other hand, the Boards come with touchscreen capabilities that allow tactile learners to touch and interact with the board. 3. 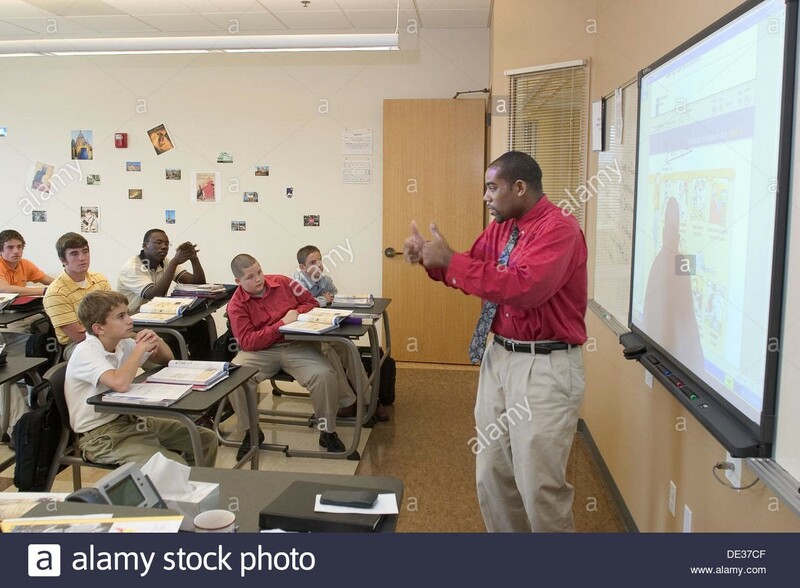 Interact and share: The interactive nature of SMART boards offers learners an opportunity to share and participate in the instructional process. Interactivity provides a platform for students to demonstrate their grasp of the subject through touching, drawing, and writing. Every learner has an opportunity to participate or contribute to the presentation and/or discussion via notebooks and tablets. In addition, the boards provide for rapid assessment whereby learners can receive immediate feedback. Teachers and students are able to identify individual strengths and weaknesses in various subject areas and isolate areas/topics that need more focus or review. 4. Low-Maintenance: SMART Boards are neat and easy to use. There are no hassles cleaning or maintaining whiteboards. The data on the screen can be modified using a specialized highlighting tool or pen. There is no need for using unhygienic chalk or marker pens. 5. Access to online information & tools: SMART Boards allow learners to easily access a rich database of online resources. Teachers can use the wide variety of online information sources such as knowledge databases, online video and news items to reinforce their lessons. Learners can also quickly access the wide range of powerful tools and resources to conduct research and supplement their usual study material. 6. Going Green: Interactive boards are also environmentally friendly. They offer teachers an entirely different way of presenting information to students, which eliminates the need for writing, printing or photocopying. Which continues to eliminate waste and pollution, from over-utilization of paper and ink. 7. 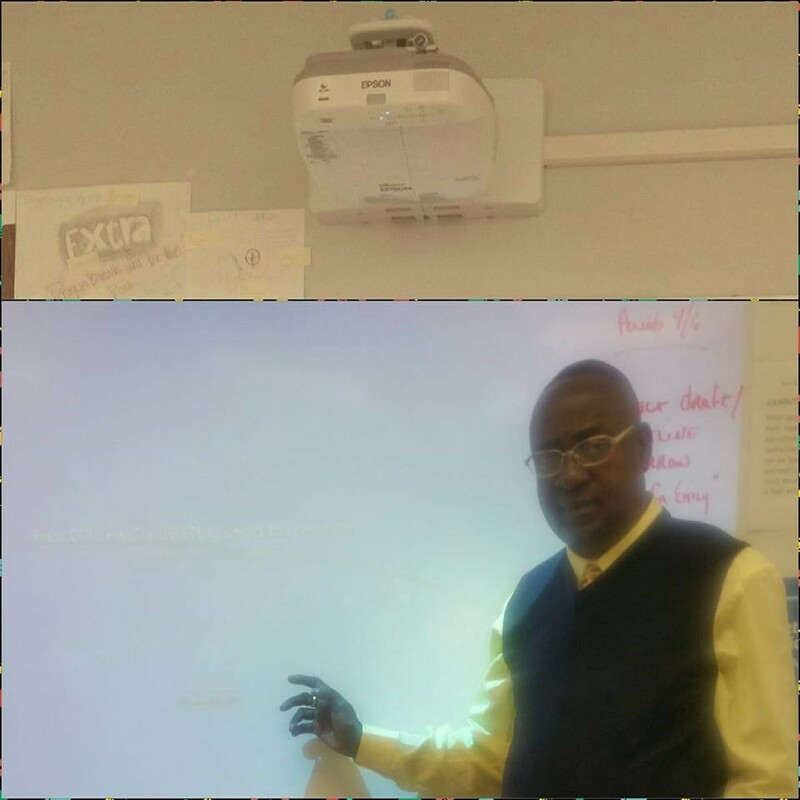 Technology Integration: SMART Boards allow for integration of various technologies to improve the learning experience. For instance, it is possible to attach tools such as microscopes, document cameras, cameras or video cameras to a whiteboard to aid in instruction. It is also possible to integrate the interactive learning tools with a wide range of software applications. 8. 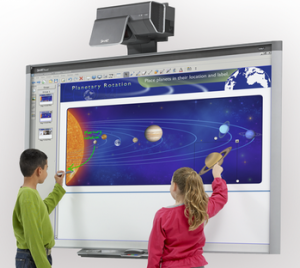 Communication: Interactive whiteboards allow for connectivity in different locations; making ideal collaboration and distance learning environments. When using SMART Boards, students tend to foster, student-to-student collaboration and increase overall participation in the lesson.